The Windows 10 Technical Preview (TP) contains several Linux-inspired features How To Get The Best Features Of Mac, Linux & Co On Windows How To Get The Best Features Of Mac, Linux & Co On Windows Operating system envy: You admire certain Mac and Linux features, while using Windows. What if Windows was a canvas and you could add all the neat gimmicks you like? Here's how. Read More , including workspaces (multiple virtual desktops), windows spread (task view), and a Ubuntu style search. Microsoft took good ideas Want Windows 10 Features? Buy A Mac Today! Want Windows 10 Features? Buy A Mac Today! Windows 10 reintroduces real desktop search, includes multiple desktops and adds a start menu with live tile "widgets" – so why should you buy a Mac instead? 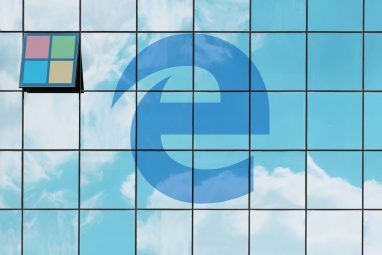 Read More from multiple sources, including user feedback Want New Windows Features? Share Your Ideas With Microsoft & Vote Want New Windows Features? Share Your Ideas With Microsoft & Vote Microsoft wants to know what you would like Windows to look like! Propose and review Windows features to shape the next version of Windows. Read More , and turned them into what appears to be an attractive and stable operating system. The Windows 10 TP Windows 10 In Pictures - A Guided Tour Of The Technical Preview Windows 10 In Pictures - A Guided Tour Of The Technical Preview The Windows 10 Technical Preview is now available to everyone. Some bugs aside, it does look promising. We'll guide you through the new Windows one screenshot at a time. Read More has been downloaded over 1 million times and feedback has been surprisingly positive. Do you occasionally need Windows or have you been thinking about switching? Being in the preview state, Windows 10 isn’t ready to be your main OS, yet. Nevertheless, you can give the TP a free test run. Here is how to install it on a virtual machine or dual boot it with Ubuntu. Since it’s not possible to upgrade from Linux to Windows 10, you need to download the ISO files. Make sure you download the Windows version matching your hardware, as the 32-bit Windows 10 TP won’t run on 64-bit hardware. For this article, I’m using Ubuntu 14.04, installed on a HP Compaq nw8440 mobile workstation. The CPU is a Centrino Duo 64-bit. Before you set up Windows 10, reboot your computer, enter the BIOS How to Enter the BIOS on Your Computer How to Enter the BIOS on Your Computer To get into the BIOS, you usually press a specific key at the right time. Here's how to enter the BIOS on Windows 10. Read More , and make sure Virtualization Technology is enabled; per default, it’s disabled. Depending on your BIOS, you will find this setting under Advanced BIOS Features, CPU Settings, or another category. I found it under System Configuration and Device Options. Just poke around until you spot it. Back in Ubuntu, head to your Software Center 5 Great Tips for the Ubuntu Software Center [Linux] 5 Great Tips for the Ubuntu Software Center [Linux] Read More to find and install VirtualBox (our unofficial VirtualBox user guide How to Use VirtualBox: User's Guide How to Use VirtualBox: User's Guide With VirtualBox you can easily install and test multiple operating systems. 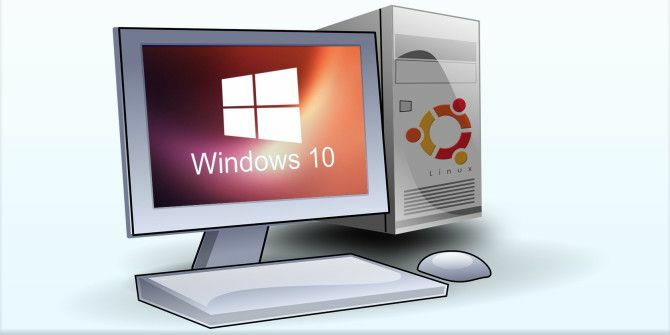 We'll show you how to set up Windows 10 and Ubuntu Linux as a virtual machine. Read More ). When you open VirtualBox, click New, give your virtual machine a name, the Type is Microsoft Windows and under Version choose Other Windows 32-bit or 64-bit, depending on what you’re intending to run. From here you can go with default settings. If you can, allocate more than 1GB RAM. The virtual hard disk can be dynamically allocated, although dedicated space appears to result in better performance. After creating the virtual hard disk, I also went into Settings and under Display increased the Video Memory. 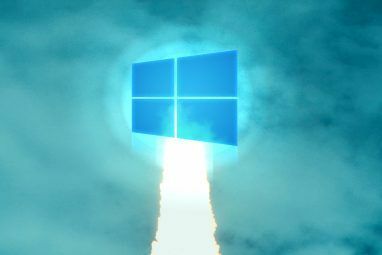 When you’re done, launch your virtual machine What Is a Virtual Machine? Everything You Need to Know What Is a Virtual Machine? Everything You Need to Know Virtual machines allow you to run other operating systems on your current computer. Here's what you should know about them. Read More by clicking Start. When you do this for the first time, you need to pick the ISO you want to install. Click Enter, restart your virtual machine, and you should now be able to proceed with installing Windows 10 inside VirtualBox. When you see the screenshot below, you’re almost there, although the setup may take a long time. Everyone will tell you that it’s easier to install Windows first and then set up a dual boot with Linux. That’s true and we have shown you how to set up a Windows 8 & Ubuntu dual boot Tired Of Windows 8? How To Dual Boot Windows & Ubuntu Tired Of Windows 8? How To Dual Boot Windows & Ubuntu If you discover that Windows 8 isn't quite your cup of tea, and you have no feasible path to downgrade, it may be a good idea to dual boot with Linux to have an alternative... Read More that way before. Today, I’ll briefly take you through the hoops of installing Windows next to an existing Ubuntu installation. This can be a long and complicated process. Fortunately, the Ubuntu documentation is very thorough. Attention: Installing Windows will overwrite the Ubuntu boot manager (GRUB). We provide resources on how to restore it (and I’ve successfully done it myself), but we highly recommend that you make a backup of your data, in case things go wrong. You should also back up the master boot record. To install Windows 10 TP, you need separate drive space. If you don’t already have a spare partition, create one now. Since this can go wrong, we recommend that you first prepare a backup of your data. To create the Ubuntu LiveUSB, we recommend following the instructions on the official Ubuntu documentation. Boot into the Ubuntu LiveUSB, which contains GParted, a tool to repartition your drive. Open GParted via the Software Center and create a minimum of 16GB of unallocated space. Right-click the unallocated space, select New, be sure to select NTFS as File system, and click Add. When you’re done, click the green checkmark to Apply All Operations. If you have a spare partition, use GParted to format it to NTFS. Because all data stored on the partition will be erased, you should first back it up. In addition to a large enough USB stick (4GB+), you need UNetbootin, a utility that will help you create a bootable USB flash drive. Install UNetbootin via your Ubuntu Software Center, open the tool, set the Windows 10 TP ISO file as Diskimage, pick USB Drive as Type, set the target Drive, and click OK.
Use the bootable USB to install Windows 10, which should be straight forward. You might have to enter the BIOS (see link above) to enable booting from a USB disk and/or change the boot order. When you now boot your computer, you’ll notice that it can only boot into Windows. That’s because the master boot record was overwritten. The easiest way to restore it is using Boot-Repair. Boot into your Ubuntu LiveUSB and follow the instructions on how to install Boot-Repair in Ubuntu, as well as using the tool to restore GRUB. Boot-Repair will not only let you boot into Ubuntu again, it will also give you a dual boot menu. Looking For Another Way To Try Windows 10 TP? Christian has outlined how to install Windows 10 TP 3 Easy Ways To Install Windows 10 Technical Preview 3 Easy Ways To Install Windows 10 Technical Preview You can try Windows 10 Technical Preview for free and help Microsoft polish its new flagship operating system. Before you install it, make sure you choose the best method for your needs. Read More on a spare PC, on a virtual machine inside Windows, and on a virtual hard disk. You can also upgrade to Windows 10 from an old Windows 7 or Windows 8 computer. Whatever you do, don’t make Windows 10 TP your main operating system Why The Windows 10 Technical Preview Should Not Be Your Main OS Why The Windows 10 Technical Preview Should Not Be Your Main OS If you think Windows 10 is a keylogger, you know nothing about the purpose of a Technical Preview. That's OK because we're here to explain. Read More , yet. 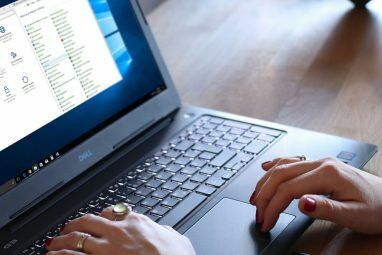 Running Windows 10 TP as a virtual machine can give you a good impression of its visuals and features, but it will never match the performance of an independent installation. Setting up Windows to run next to Linux, on the other hand, can be a tedious process. Kudos to you if you’ve done it! Have you tried the Technical Preview? Is there anything that Microsoft could do to make you switch to Windows 8 In 10 Desktop Computers Runs Windows And So Should You 8 In 10 Desktop Computers Runs Windows And So Should You Getting a new computer? One devil urges you to buy a Mac or Chromebook, while the other insists you try Linux. And here's me explaining why you should stick with a Windows device. Read More as your main operating system? What is your impression of Windows 10, so far? Explore more about: Dual Boot, Ubuntu, Windows 10. Great Blog post. I Had no Issues running Linux Mint 17.3 and installing WinDoZe 10 as a VM. There are a few more distros out there besides Ubuntu. Ubuntu doesn't seem to play well with peoples computers anymore. How about showing how to dual boot windows 10 with Fedora or Open SUSE. I followed all your steps but when I started the virtual box it just sits there with the windows logo. It says its running but nothing has happened. Do I just wait or did i mess something up and need to go back and change something? Did you solve your problem? I'm in the same situation. I have two HDDs and both are GPT partitioned. Windows build 10041 and openSUSE were running well.. but for some reason, windows never updated from that build, and now when I reinstall windows (10130) from USB (using rufus and choosing GPT partion options), I get this error "Sorry, we couldn't create a new partition or locate an existing one"
I researched and tried many tips like giving the main hard disk port 0 option, or even disconnecting the other hard disk and DVD drive.. no matter what I did so far, this error doesn't disappear. Anyone faced this issue? Hey Manish, i'm somehow in a similar situation (but my W10 system crashed and can't recover because of this error), did you find out how to resolve your issue ? Hey Akaryatrh, I had to eventually reformat the hard disk with fresh partitions and things just went well from there.. so in your case, you need to recover your data first, maybe using a Linux system which runs from USB or any other tools. I dont have the option for 64bit Windows, not for any version. I am running Ubuntu 14.02 on a HP Pc laptop with amd64. What do I do? I was quite excited to see that Microsoft was offering Windows 10 for free, embracing open source, and doing away with IE in favor of a much more compatible browser. And then my excitement was crushed as I found that Windows 10 home users will no longer be able to defer updates. While I love the idea of having my system be up to date, after a few bad experiences with my system being rendered completely inoperable after Windows update, I think this is a very very very very very bad idea. Updates are good. But a system that decides for you when and where it will update is terrible for anyone who uses their computer for more than just frivolous stuff. If I'm working, I really can't afford to lose half a day recovering my system because windows update borked my machine. Those printers, scanners, and TV capture cards you threw out because they didn't work on windows 7? They work on Linux. I've been a dedicated Linux user since 1998 (in fact it was the disaster of Windows 98 that made me try Linux). My work computer is an all-Linux machine, but on my home box I keep Windows 7 on a partition for games and the rare occasion when I have to run some software that won't work on Linux with Crossover. I vastly prefer the GNOME3 interface to Windows, I love the security of Linux, and I'm a firm believer in Open Source software, but I'm not a fanatic, so I probably will install Windows 10 - partly out of curiosity and partly because after a while 7 won't be supported and it'll be even more of a security risk than it is. The only question is whether to install the preview or wait for the official release. Microsoft has the ability to go snooping into a personal PC's files with windows 10!!! Microsoft is monitoring the Windows 10 Technical Preview, that's correct. They are collecting usage data to improve the operating system. It's a normal process for a beta version. Don't use UNetbootin, use WinUSB. Went to Linux but came back home to Windows. Nothing is as good as Windows period. Great to see some enthusiasm for Windows for a change. Thanks Michael! Windows 10 seems like the best Windows ever. Downloaded the preview and I am loving it, very stable and easy to use. Hey guys, I'm trying to install on Windows 10 on a machine with Ubuntu 14.10, when I insert the disc into tray it won't boot from it. But when the grub menu starts it indicates "Flash Bios" option when the Installation disc is in the tray. Any advice as how to proceed ? Should I flash the BIOS before installing Win10 ? Reinier, you say you partitioned the drive. From what you write, you didn't yet try to install Windows 10. The only explanation I have is that something went wrong while you partitioned your drive. Did you accidentally delete the Linux system partition? What do you see when you look at the drive using your Ubuntu LiveUSB? I spent the better part of 2 days trying to install windows 10 on a spare laptop that had a Linux Distro on it. I tried to edit the partitions using GParted...I tried to run it as a virtual machine using Virtual Box...I tried everything, and i know my way around Windows really well and am learning Linux. I have one word of advice for others if you want to install Windows 10 on a Linux computer: FUGEDABOUTIT!!! Yes, I'm sure it's possible...but unless you are a VERY advanced computer user...you're going to drive yourself bonkers! Just let Windows take over the computer the way it wants to, and then re-install Linux on a new partition later in a dual-boot or VM. PS -- If you do have even a slight chance of being successful -- this is about the best guide that I have seen on the web! It's true. Installing Windows first is much easier. The links I added above helped me in making it work the other way around. But as I said too, it's a convoluted approach and rather difficult. Running Windows 10 inside a virtual machine installed on Linux is probably the easiest solution. you recommend unetbootin but it is terrible and will not make a windows bootable usb from linux. need to do it manually. I have dual booted my laptop. It has ubuntu 14.04 and windows 8.1 dual booted. Now if I want to remove windows 8.1 and install windows 10 TP without affecting ubuntu . What should I do ?? Sagar, you could upgrade to Windows 10 from inside Windows 8.1. Alternatively, you could install Windows 10 over Windows 8.1. The latter will definitely affect GRUB, the Ubuntu bootloader and I'm not sure about the former. GRUB can be fixed, as described above. It won't affect your Ubuntu installation. So, logically , would the former too? Or is the former safer? I think upgrading to Windows 10 from within Windows 8.1 or 7 is the safer route for various reasons, not only to preserve GRUB. However, I don't know whether or not it will affect GRUB. My guess would be no because upgrading won't have to update or change the boot order, so everything should stay the same. But I could be wrong. Either way, if a Windows installation does mess up GRUB, it can be fixed, see resources in article above. Good luck! @tungdiil1391 Apparently Windows 8 and 10 uses a technology called fast boot, which doesn't properly shut down the operating system, or so I've read. Would strongly suggest doing some reading on it rather than taking my word on it, but from what I've read around the internet disabling this in Windows should resolve your problem. EFI is not the stopping force with how many partitions you have. The stopping force is the MBR partitioning table. Modern systems should be adopting GPT. I'm not sure that windows detects it or not. But with the growing number of UEFI systems MBR . Wow, sounds like getting this to work was an ordeal. Great job though Manish! I'm having a small problem. When I boot to the USB drive it simply shows a screen with default and there is an automatic countdown timer, but when it hits 0 it just resets. Hitting enter resets the timer but doesn't boot me into Windows. Is this your Ubuntu liveUSB drive or the bootable Windows 10 TP USB? How did you create it? The issue lies with the Windows 10 iso. I used unetbootin like you suggested, as well as a couple of other ways like the dd command and copying the files directly over. If I don't use unetbootin it basically doesn't recognize the usb drive as bootable and boots into my normal operating system after some delay. Unetbootin has a basic overlay which makes it bootable, but is just a blue screen with an option to select "Default" and a command line. Did you try another USB flash drive? I had issues with the first one I tried, although it worked fine on another computer. This shouldn't matter, but are you trying to boot 32-bit or 64-bit Windows 10 and what does your computer support? I'm attempting to dual-boot Windows 10 TP on the same disk as my existing Linux Mint 16. Its a UEFI based setup so I wasn't anticipating any GRUB-overwrite problems. I made space by shrinking the linux partition but cannnot get Windows to install in the space. It makes no difference if I format the space to nfts or leave it unallocated. It complains that the EFI partition is not fat32. The existing one is. Any clues as to what I should try next? I have already installed Windows 10 TP in a virtual machine, but I wanted to try something a bit more like the "real" experience. I would post in the Windows TP forum but I suspect that they're not very linux-friendly! Claire, wish I could help you there. To be honest, I don't have a UEFI based setup to play with. I encourage you to ask this question on MakeUseOf Answers. I know our team there is very friendly. I also have the EFI based setup - openSUSE 13.2, and I suppose there should be no GRUB issues, and since i have two hard disks and one is already NTFS, i don't anticipate any problem while installing.. however, the Windows 10 USB disk refuses to boot, while the USB booting works fine with my openSUSE USB disk... any ideas? My problem turned out to be what I think is a fault with the installer. Because I have various other operating systems on my rig, I already had four primary partitions. In spite of the fact that this is a UEFI 64-bit system which is not restricted to the same 4-partition limits that older systems are subject to, Windows refused to install until I reduced the number of partitions below four. I did this by simply unplugging the second drive. Then, no problem installing from the USB stick. @Manish - I also had a Windows-only problem booting from the USB stick originally, and I had to re-format my stick, taking care to make sure I made it as a bootable drive. It wasn't blindingly obvious that it was not bootable the first time as it had an EFI directory, but there was not GPT! Manish, I had a similar issue. In my case, it turned out that the system wouldn't recognize my partitioned USB stick as boot device, although the same was recognized just fine on another computer. When I used another stick to boot the Windows 10 installation, it worked fine. That's all I can think of. I would also recommend you to turn to MakeUseOf Answers with your question. Thank you for sharing the solution to the problem you had, Claire! I agree with you Tina. While I chose Linux and love it, I have to use Windows at work. I also keep a Windows copy on my computer as some sites/things just don't support Linux. Also I fix many friends and families computers, as many Linux users do, as they tend to have more computer knowledge in general. Keeping up with what is going on in the Tech world is not all that unusual. Like it or not, Windows is part of the tech world. Have you tried Windows 10, then? Which installation route did you take and what do you think? Not sure if it wil wise to go on to boot and install windows10 since its still in preivew mode and i guess it will have lots of glitches and bugs. I've been using it for a few weeks and can't report many bugs or glitches. It's super stable and runs very smoothly. Different hardware could result in a different experience of course. What I am wondering about is how many of the "new and exciting" Win 10 features are removed before it is available in stores. Microsoft has been know to include features in preview versions of Windows, only to remove them from the final release. Using Linux is a conscious choice since you do not buy a Linux PC by accident. The vast majority of commercially available computers come preloaded with Windows. If I'm running Linux it means I already tried Windows and found it wanting. Why would I ever want to go back??? I realize that using Linux is a choice. Using Windows on the other hand is often a necessity. Here's your chance to try it for free before you might have to use it. The best of both worlds so to speak. It won't hurt if you can say you're familiar with Linux and the latest version of Windows - on your CV or in a job interview for example. Because you are poor and can't afford the $100 after building your gaming computer, and you finally have a chance to switch back so you can play the majority of your games with no major issues. If i am using Linux then, i will never install windows. You might not want to install it on your private computer, but some people might have to use it for work. Here's a great way to get familiar with the latest version of Windows for free.